When you or your doctor don’t realize that the following fifty-six conditions can be due to magnesium deficiency and are treatable with magnesium, you may be prescribed drugs. Unfortunately, drugs such as painkillers, diuretics, antibiotics, and cortisone, many of which are inappropriately used for the aforementioned conditions, further deplete magnesium and other minerals. This allows symptoms to get completely out of control. Spasm of the lower esophageal sphincter at the juncture of the stomach can cause acid reflux. Magnesium relieves esophageal spasms. Adrenal fatigue follows after a time of chronic stress, anxiety, and panic attacks and it seems to be occurring in epidemic proportions. 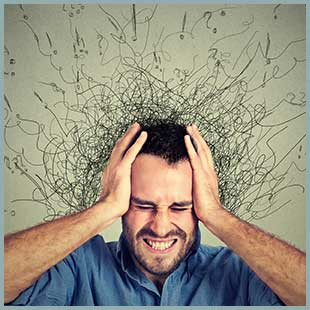 Adrenaline, noradrenaline, and cortisol (elevated in chronic stress) deplete magnesium. Stress causes excess elimination of magnesium through the urine, further compounding magnesium deficiency. Stress is such an overworked word, but we all suffer physical, emotional, and mental stress every day, and every bit of it drains magnesium. Magnesium blocks the neuro-inflammation caused by the too much calcium and other heavy metals in brain cells. Magnesium is at work even before the inflammation appears, guarding cell ion channels and not allowing heavy metals to enter. The pain of angina is caused by severe muscle spasm in heart muscles, which in turn is caused by magnesium deficiency. The heart ventricles have the highest levels of magnesium in the whole body, which is why magnesium is so important for the pumping function of the heart. 5. Anxiety and panic attacks. When the adrenals are no longer protected by sufficient magnesium, the fight-or-flight hormones adrenaline and noradrenaline become more easily triggered.And when they surge erratically, they cause a rapid pulse, high blood pressure, and heart palpitations. In fact, the more magnesium deficient you are, the more exaggerated is the adrenaline release. Magnesium calms the nervous system and relaxes muscle tension, helping reduce anxiety and panic attacks. 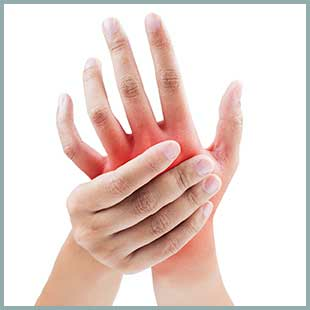 Pain and inflammation are two major symptoms of arthritis that are amenable to treatment with magnesium. Histamine production and bronchial spasms (in the smooth muscles of the bronchial tract) both increase simply as a result of magnesium deficiency. 8. Atherosclerosis with calcium deposits. Magnesium is necessary to dissolve calcium and keep it soluble in the bloodstream. Magnesium helps direct calcium to the bones, where it belongs. Magnesium does not act like blood-thinning drugs but instead helps prevent blood clots by preventing excess calcium from triggering them. And it naturally balances the blood clotting in the blood. Magnesium deficiency slows down bowel peristalsis, causing constipation, which could lead to toxicity as well as symptoms of colitis, diverticulitis, and Crohn's disease. The highest concentrations of magnesium in the body are in the heart and brain cells. It is no wonder that the major symptoms of magnesium deficiency affect the heart and brain. An important study in 1995 showed that even marginal magnesium deficiency could induce the brain to become hyperexcitable, as shown by EEG measurements. Magnesium-deficient brain will be more vulnerable to the effects of theexcitotoxins. Many diseases of the nervous system are being associated with excitotoxin buildup in the brain, including migraines, seizures, strokes, and brain injury. Magnesium does the same thing as statins. But without the side-effects. It is a natural regulator of cholesterol. And studies are now showing that unhealthy cholesterol levels are a result of a magnesium deficiency. To make matters worse, cholesterol drugs deplete the body of magnesium, therefore creating a worsening cholesterol problem. Magnesium deficiency causes bladder spasms during an infection. But a spastic bladder can cause urinary frequency at any time. Serotonin, which elevates mood, is dependent on magnesium. A magnesium-deficient brain is also more susceptible to allergens and foreign substances, which in some instances can cause symptoms similar to mental illness. Magnesium is crucial for the removal of toxic substances and heavy metals such as mercury, aluminum, and lead from the body. Magnesium is a cofactor in the production of glutathione and the detoxification systems in the liver. Magnesium enhances insulin secretion, facilitates carbohydrate metabolism, and allows insulin to transfer glucose into cells. Otherwise, glucose and insulin build up in the blood causing various types of tissue damage. Tyrosine kinase, the enzyme that allows insulin entry into the cell, is magnesium-dependent. Seven of the ten enzymes needed to metabolize glucose are also magnesium-dependent. You cannot make or secrete insulin without magnesium. Magnesium-deficient patients commonly experience fatigue because dozens of energy producing systems of the body cannot work properly. The muscle tension and spasm in neck and head muscles can be alleviated with magnesium therapy, which can be both applied locally and taken orally. As noted, the heart, specifically the left ventricle, has the highest amount of magnesium in the whole body. Magnesium deficiency is common in people with heart disease, and taking magnesium can reduce that risk. IV magnesium can prevent myocardial infarction damage and cardiac arrhythmia if given at the onset of a heart attack. Unfortunately, most of the drugs used in treating heart disease drain magnesium from the body. The statins are especially damaging because they are mostly fluoride compounds that bind magnesium, making it unavailable in the body. With insufficient magnesium and too much calcium, the muscles in blood vessels can go into spasm and cause high blood pressure. If cholesterol also rises, due to magnesium deficiency, it can bind to calcium in the blood vessels, worsening high blood pressure. Magnesium balances the release of insulin so that inappropriately large amounts don’t cause the blood sugar to drop suddenly. This results in symptoms of low blood sugar. The "pump" that acidifies the contents of the stomach is dependent on magnesium. Without this, food does not get liquefied and remains solid through the digestive tract. This places extra strain and drains energy from you. Most drug companies are now embracing inflammation and not cholesterol as the cause of heart disease. They claim they don’t know what’s really causing the inflammation, but that doesn’t stop them from producing drugs to suppress it. What they don’t acknowledge is that calcium is extremely pro in flammatory and magnesium is very anti-inflammatory. I have grave concerns that researchers are trying to create drugs that cause inflammation. They need to acknowledge the research of William Weglicki and Terry Phillips, who proved that the inflammation escalates when magnesium is deficient. The bottom line is that inflammation is triggered by magnesium deficiency and the relative calcium excess. Magnesium prevents muscle tension that can prevent restful sleep. Also, sleep-regulating melatonin pathway production is disturbed without sufficient magnesium. Magnesium can be used to treat the pain and spasm of IBS. The more laxative forms of magnesium can also treat IBS-related constipation. Magnesium deficiency contributes to atherosclerotic kidney failure. Magnesium deficiency creates abnormal lipid levels and worsening blood sugar control in kidney transplant patients. 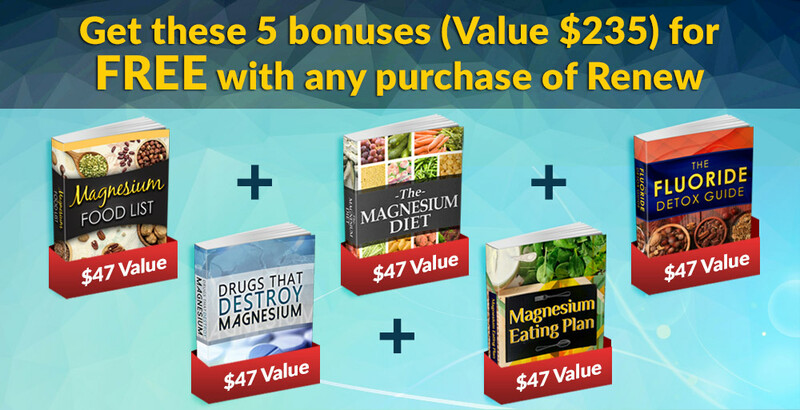 It's important for kidney patients to receive magnesium that is absorbed directly into cells. Magnesium is needed to dissolve calcium. When calcium is not dissolved, it can turn into kidney stones. Serotonin balance is magnesium-dependent. Deficiency of serotonin can result in migraine headaches and depression. 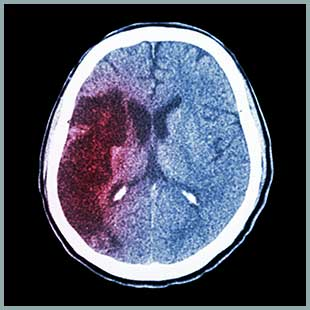 Blood clots are said to clog up tiny brain blood vessels, leading to migraines. Magnesium prevents calcium from causing excessive blood clotting. Insufficient magnesium and the relative excess of calcium will cause sustained muscle contraction in any muscle of the body. Insufficient magnesium and the relative excess of calcium will cause sustained nerve excitation in any nerve cells of the body. 31. Obstetrical and gynecological problems. High-dose calcium with or without vitamin D without a balancing amount of magnesium triggers a cascade of events leading to bone loss. Magnesium blocks the neuro-inflammation caused by calcium deposits in the brain. 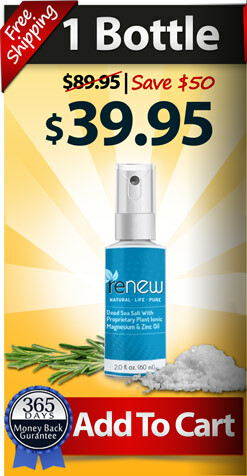 Magnesium helps relax the spastic blood vessels that cause pain and numbness of the fingers. 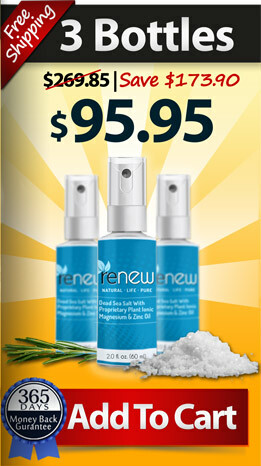 Pain, inflammation, muscle spasm, muscle tension, and scarring can all be treated with magnesium. Magnesium reduces lactic acid buildup that can result in post-exercise pain. Magnesium deficiency causes an unhealthy balance of phosphorus and calcium in saliva, which damages teeth.